Do you know what your body’s largest organ is? Your skin! It’s also one of the most important organs because it has so many functions. Our skins is our first line of defense against toxins, pollutants, and infections. It also absorbs nutrients, excretes toxins, secretes sebum as another form of protection, regulates our temperature, and allows us to feel different sensations such as hot and cold. With everything our skin does for us I think it’s easy to say we should take care of it and honor it by educating ourselves about what we are actually putting on it. Who doesn’t want to have healthy skin? 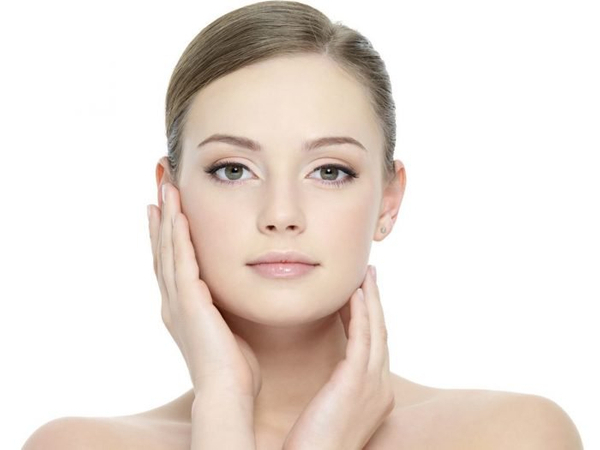 Most people have a good skin care regimen that they use to keep their skin feeling good and looking radiant. But have you ever really looked at the ingredients in your skin care products? You may see items like parabens, oxybenzone, sodium lauryl sulfate, and synthetic fragrances. These are just a few chemicals that can be irritating by causing trouble with allergies or even worse causing a disruption in your body’s natural hormone system. If you want to get your hands on some cleaner products you can look at Keys, Veritas or Young Living skin care products. Another place to look is in your pantry. Organic, unrefined coconut oil is a natural product that has antibacterial and cleansing properties. Coconut oil makes for the perfect all-in-one product line of skin and hair care. It is rich in fatty acids, which makes it an excellent moisturizer for all skin types. It protects the skin’s natural oils, while gently removing dirt, sweat, and excess oils. It is not contaminated or filled with harsh chemicals, it is gentle, moisturizing, delicious smelling, and can be used for a plethora of outer beauty blemishes, ailments, or preventative measures. Don’t forget to consider your diet as well. Antioxidants act as scavengers helping to prevent cell and tissue damage from free radicals. Antioxidants include vitamin E, vitamin C, vitamin A, coenzyme Q10, carotenoids (beta-carotene, lutein, lycopene), glutathione, and melatonin. They can be found naturally in fruits and vegetables, nuts, grains, and some meats, poultry and fish. The National Cancer Institute recommends 4-13 servings of fruits and vegetables a day. And don’t underestimate the power of water. Water consumption is very beneficial for healthy skin. Acne and blemishes are markedly improved when the skin is well hydrated. Toxins are excreted instead of surfacing on the skin. So find out what’s in the personal-care products you use regularly. Check your products on www.ewg.org/skindeep. Read labels or call manufacturers and ask about synthetic materials in their products. And if you have questions about any of the products listed above or just want a cleaner way to keep your skin looking fantastic contact Annie’s Apothecary for more information. Looking for a better skin regimen?